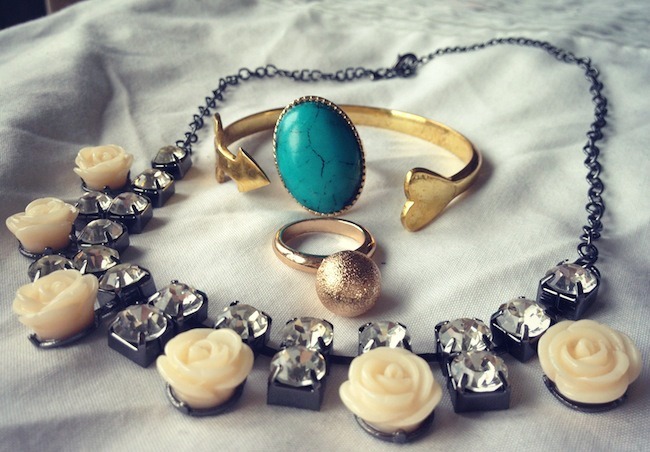 Just a quick post from me today to show you some new jewellery pieces I have bought recently. I was going to film a haul video as it has been so long since I have filmed a video but me being an idiot I have left my camera back in sussex but I will think of a way to make one! I absolutely love this rose necklace from H&M it is very similar to my neon necklace which you can see here and since getting it two weeks ago I have worn it a fair bit. It looks so nice teamed with floral dresses and just with a simple plain t shirt. I have looked for it on the H&M website but as always they only have a limited selection on there but I think it was £9.99. I also picked up this ring from H&M which I really love, and it look great teamed with the heart and arrow bangle in the photo. The bangle is from River Island and it was total bargain at £3.50 besides the fact you scratch yourself every time you put it on as the end of the arrow is really sharp!! 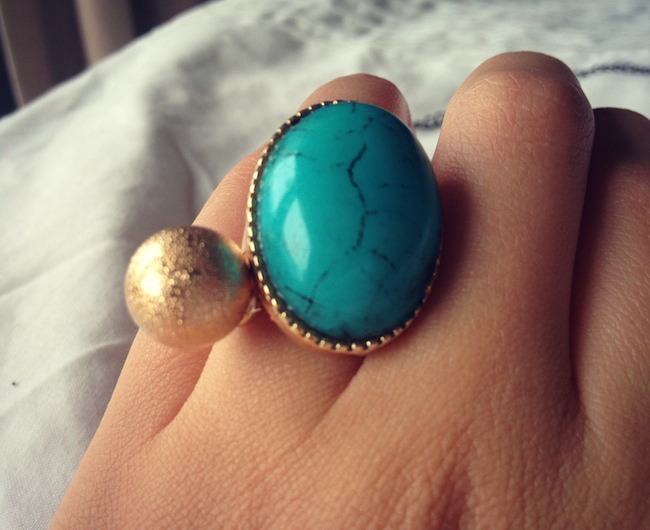 I am really getting into jewellery at the moment anyone else bought some nice pieces recently that I should check out?